The future of telecommunications is directed towards creating environments aware of user preferences, mobile device capabilities and communication context. Consequently, telecommunication operators have recognized the importance of dynamic formation of user groups according to similar characteristics (i.e., user preferences, user device, communication context, etc.). 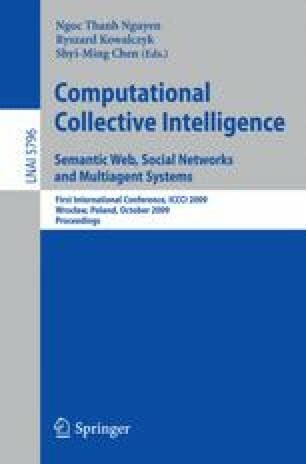 In this paper, we propose an agent-based solution that supports provisioning of group-oriented telecommunication services by applying ontology-based user profiling as well as semantic clustering techniques. Furthermore, proof-of-concept group-oriented service is presented.